Sheraton Denarau Villas welcomes families, friends and large holiday groups to Fiji’s Denarau Island with spacious waterfront villas. Located oceanfront on Denarau Island, are the luxuriously appointed self-contained Sheraton Denarau Villas, beautiful waterfront infinity pool, 750m2 lagoon style pool and tropical gardens. Villa guests have full access to the facilities at the adjacent Sheraton Fiji Resort and The Westin Denarau Island Resort & Spa, including 17 restaurants and bars, 6 pools, children’s facilities and leisure and recreational facilities including access to the Heavenly Spa by Westin, 18 hole championship golf course, cultural demonstrations and watersports. Only 20 minutes from the airport the Denerau Sheraton Villas is the perfect choice for families and groups. With 2 and three bedroom options, make this your home away from home. For all details and specials, contact us today. 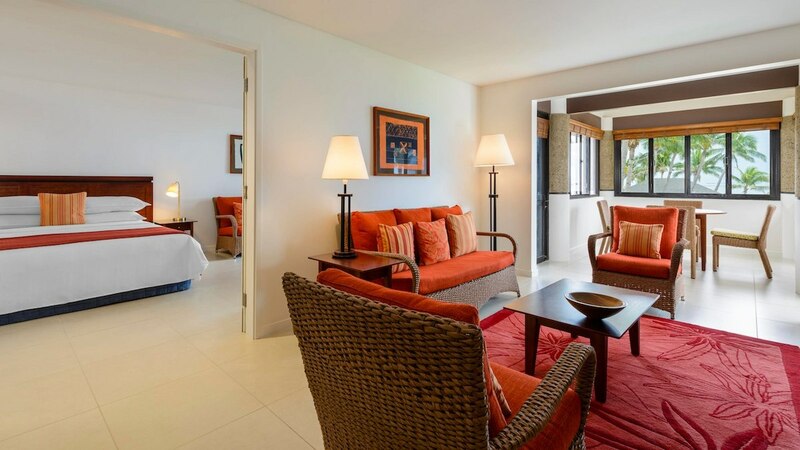 2 bedroom: choose from garden, lagoon, lagoon access and sea front villas. All villas are approx. 112 sq mtres in size and consist of 1 living, 1 master and a guest room. 3 bedroom seafront villas are located directly on the seafront facing the pool. 148 sq mtres in size and located on the top floor with a spacious terrace and panoramic views of the ocean and nearby islands. They consist of 1 living, 1 master bedroom and 2 guestrooms. All room types feature a comfortable lounge with dining area, internal laundry, fully equiped kitchen, home theatre sound system, LCD TV, DVD player, air conditioning, and tea & coffee making facilities. 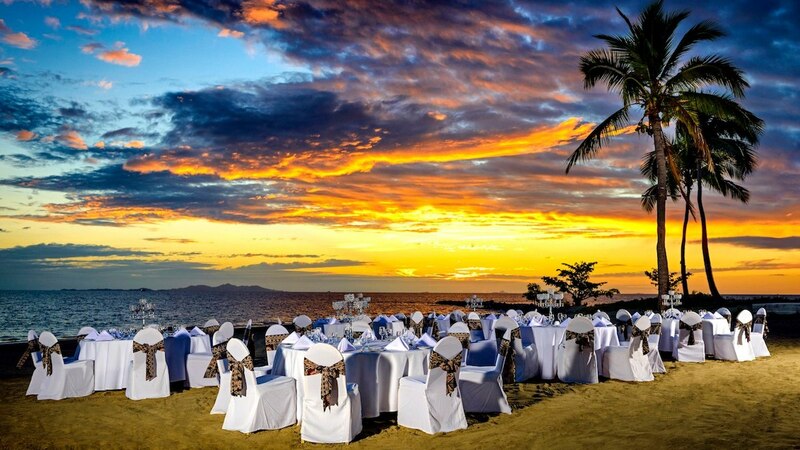 If you have an event to celebrate whether it be a wedding, anniversary, family reunion or even a corporate roadshow the Sheraton Denarau Villas is the perfect place to hold your event. With family size rooms and the choice of three resorts for that special location, you’re spoilt for choice. Together with the expert team at the Sheraton we can help make your special occasion one to remember forever. Love to learn more about this resort?